Welcome To 03 Nights Stay in Leh Ladakh Tour. On arrival at Leh Airport, India Leh Ladakh Tour representative will give you warm welcome and transfer you to the pre-booked hotel. Take rest for rest of the day. Dinner and night stay will be at the hotel. The whole day is reserve for the sightseeing of Leh. Have your delicious breakfast at the hotel and embark on the full day city tour of Leh. Our representative will be there for complete assistance. You will visit all the important tourist attractions of Leh including Shanti Stupa, Leh Palace, Victory Tower and Namgyal Tsemo Gompa. At evening return back to the hotel for dinner and overnight stay. Enjoy your delicious breakfast at early morning in the hotel. Later drive to Khardung La Pass. It is highest vehicle transportation route in the world. Later return back to the hotel. Take rest at the hotel. At evening you can enjoy shopping of traditional items at local the Leh market. Dinner and overnight will be at the hotel. Have delicious breakfast at the hotel. 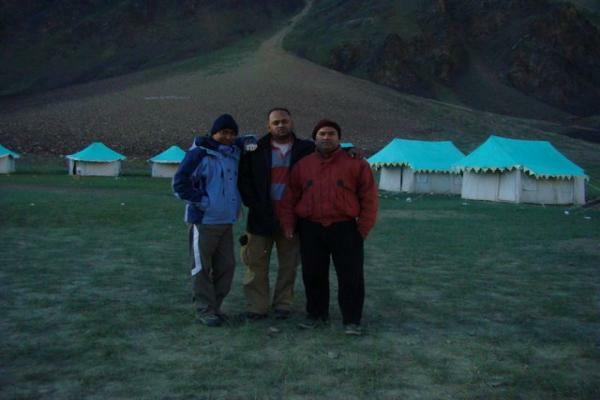 Later India Leh Ladakh tour representative will transfer Leh Airport for your flight back to home. Flay to your home with some sweet memories of Leh and Ladakh.